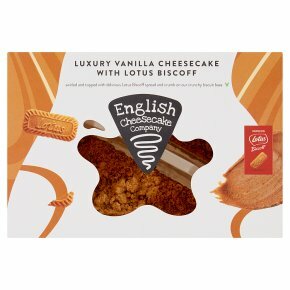 Creamy vanilla cheesecake swirled and topped with delicious layers of Lotus Biscoff spread. Finished with crushed Lotus Biscoff biscuit. Created with lotus biscoff. Suitable for vegetarians.